This is the first of our new monthly product updates. My hope is to shed some light on where we’re taking the product by highlighting recent developments and leaking a few of our upcoming features. In the spirit of transparency, we’d be stoked if you jumped in to discuss where we’re going and how it affects you and your marketing business needs. Coming soon – what’s next? Lead gen is top of mind for a lot of Unbounce customers so we’re making it a priority (see coming soon below). The latest additions are a series of pre-made dropdown lists and improved button support. We added a set of pre-made lists to save you time when building your lead gen forms. Choose from Countries, US States, Canadian Provinces, States & Provinces together, days, months and more. If you want us to add any other lists to the system just drop us a line on our Get Satisfaction forum. Adding pre-defined dropdown lists is super easy now. Just choose from our list of ready made options. Your form buttons are now fully customizable, including support for graphical image buttons. Buttons can have 3 states, up/hover/active to enhance interactivity and you can position the button anywhere inside the form area to give you more layout freedom. For anyone who isn’t graphically inclined or doesn’t have access to a design resource, our landing page templates can help you get your campaigns started. We’ve been adding new templates as we roll along and will be reworking all of them into a bigger collection in the coming weeks. The latest is a video landing page template that also includes a feature list and social media icon which can be utilized for enhanced path relevance when doing social media marketing (via Twitter in this example). If there are any specific template types you would like to see in Unbounce, please let us know on our Get Satisfaction forum. While adding as many new features as possible, we’re also committed to making Unbounce the most usable landing page platform available. We are constantly testing the tool and evaluating feedback from you to see how we can make it easier to use. Here are a couple of changes we made that should make your life simpler. Page sections are the foundation of the landing page editor. They let you segment your content into flexible and stretchable blocks. 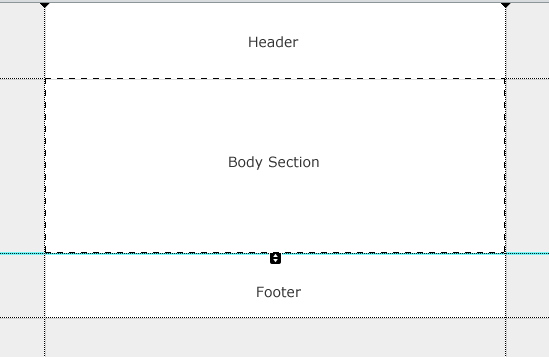 Typically you use them for adding header, body and footer type sections. With the new guides, it’s easier to see where the boundaries are and to drag them to resize. If you click inside a page section you will see the small black handle to resize the height. You can also grab any of the horizontal lines to stretch a section or use the vertical lines to change the page width. We added this to your page details view so that you can take control of when your campaign should start. We realized that you need to publish your pages if you want to send them around to stakeholders or colleagues for review and also just for the peace of mind of looking at them in a live browser scenario. Once you are confident that your page is ready for receiving traffic, simply hit the reset stats button to wind the counters to zero. Be careful not to reset your stats once your campaign and A/B testing is underway. Over the next few weeks we’re going bananas over lead generation features and new landing page templates. If you’re capturing user data you’ll love what we’re planning in our next release. Here’s a bird’s eye view of what we’re working on. View your leads within Unbounce: If you don’t have an existing place to house your leads you’ll be able to view them directly in Unbounce as soon as they are captured. Integration with 3rd party CRM’s and Email Service Providers: If you want to push your leads directly into your existing MailChimp account or CRM system then we’ll be building support for this. We could use your help in determining priority here – so please jump onto the support forum and tell us which providers you want us to integrate with. Send leads to an email address: If you just want your leads sent to your inbox we’ll be able to do that for you too. Send users a whitepaper, eBook (or any file) on form submit: We’ll let you upload files for your users to download automatically (or get from a confirmation page). More form field features: Checkboxes are coming, but we also want to know the other forms field types you need. Text areas? Radio buttons? We’ll get to them all in due course, but if you have a burning need let us know. We’re working on a major overhaul of our templates that will make your job easier and more enjoyable. The next update will include improved visual designs and extra template layouts. We’re also working on some fully designed “samples” to illustrate what you can build with the Unbounce landing page editor. Ok, that’s it for now. If you have a product feature wishlist, please let us know what you need and we’ll see about incorporating it into our roadmap.